It’s almost that time! We sure hope to see you all at Market in High Point this October! 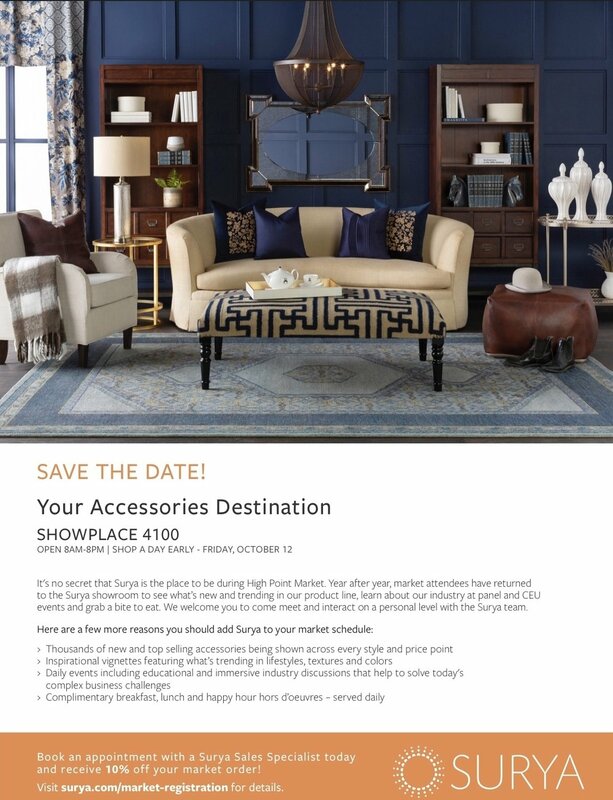 Here is your invite to visit this amazing showroom. Be sure to keep scrolling down to see all of the events that will be happening through out of the course of the week. If you would like to book your appointment please email us by clicking here.